If there’s some kind of issue with your sewer system, prompt professional attention is of the essence. The great news is that our full-service plumbing company can fix any type of sewer trouble that may have come your way. People who need rock-solid trenchless sewer repair in Livermore can turn to our plumbers. If you’re searching for professional sewer repair, we can help. 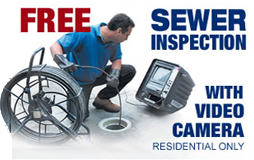 So if you’re facing sewer issues, then please give us a call at (510) 782-3649 or (925) 692-5834. Or, if you prefer, you can always visit us here at Evenflow Plumbing at 360 Grand Avenue, Suite 155, Oakland, CA 94610. Our team of Livermore trenchless sewer repair and replacement professionals are always just a call or a few clicks away. 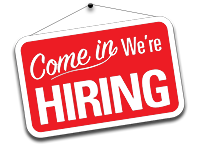 Give us a call or fill out the form on our Contact Us page today! People who need Livermore trenchless sewer repair may develop problems such as backups, flooding and foul smells. If any of those unpleasant issues are affecting your life, contact our plumbing business without delay. You should also contact us if anything seems “off” with your plumbing system in general. When it comes to trenchless sewer replacement in Livermore, we can always help. Our fantastic plumbers, needless to say, can assist you with both in-depth specialties. We’re beyond devoted to excellence in customer service here. If you’re used to dealing with plumbing companies that don’t care, working with our business should be a different experience. 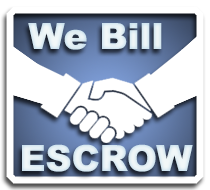 We’re the kind of business that routinely does whatever it takes to see our customers happy. Customer happiness is our sole aim. Now If you need Livermore trenchless sewer replacement work that’s effective, dependable and in-depth, our plumbers are on the job for you. Our trenchless sewer replacement in Livermore is just as high-quality as our trenchless sewer repair work is. Call our company as soon as possible to schedule an upcoming appointment for our seasoned and reliable trenchless sewer assistance. Our trenchless sewer repair in Livermore is truly great. Each and every of our Livermore trenchless sewer replacement professionals is standing by to replace your pipes and sewer lines.